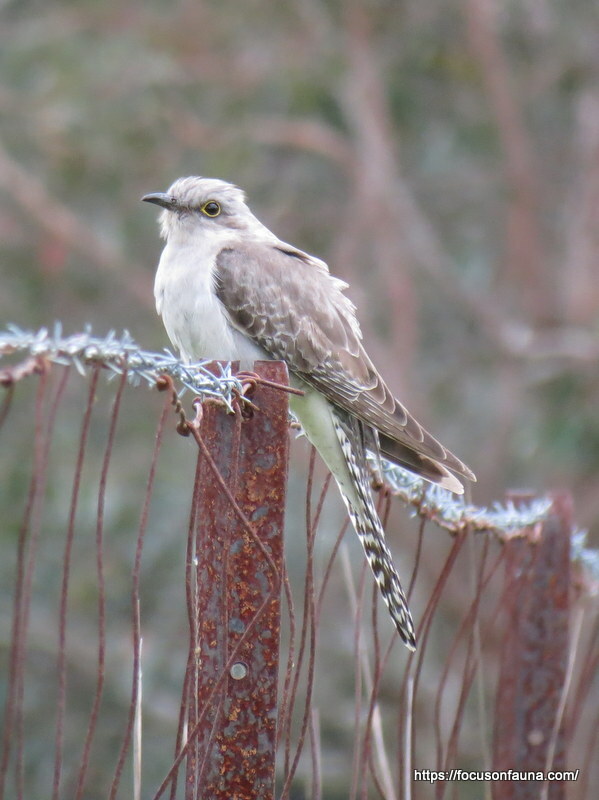 Surprisingly, we had not recorded a Pallid Cuckoo on our place since 2011, despite it being a regular spring visitor for many years before that. But this year it has returned and we are seeing and hearing Pallid Cuckoos (as well as Fan-tailed Cuckoos and two Bronze-Cuckoos: Horsfield’s and Shining) not only on our property but at various spots around the district. It’s good to hear again the familiar and distinctive call, although we know that our smaller birds will have an added threat to contend with when nesting this year. The call is a series of rising notes that can be heard by clicking on the audio bar below. 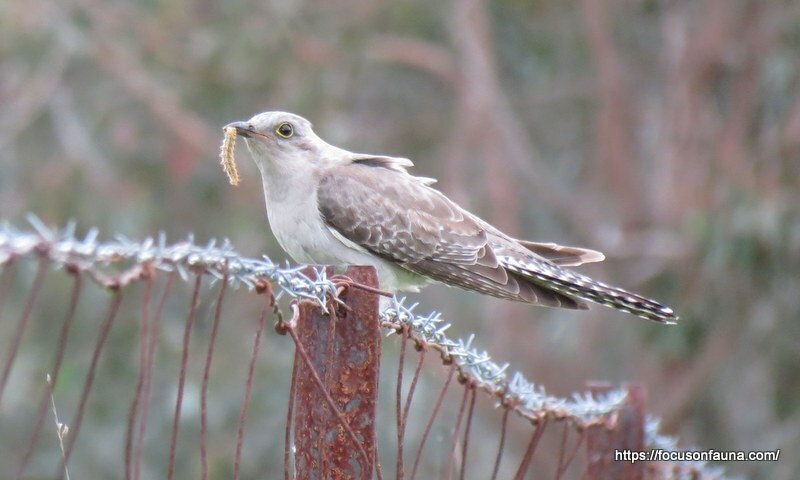 It’s worth getting to know the various cuckoo calls for easy identification of their presence – in a previous post on this blog in 2011 the calls of all the cuckoos mentioned above can be heard. The Pallid Cuckoo uses a perch and pounce technique to catch insects on the ground and is often seen along fence-lines waiting patiently for its next meal. It seems particularly fond of caterpillars (see top photo above), even those hairy ones spurned by many other birds – must have a strong stomach! Thank you! 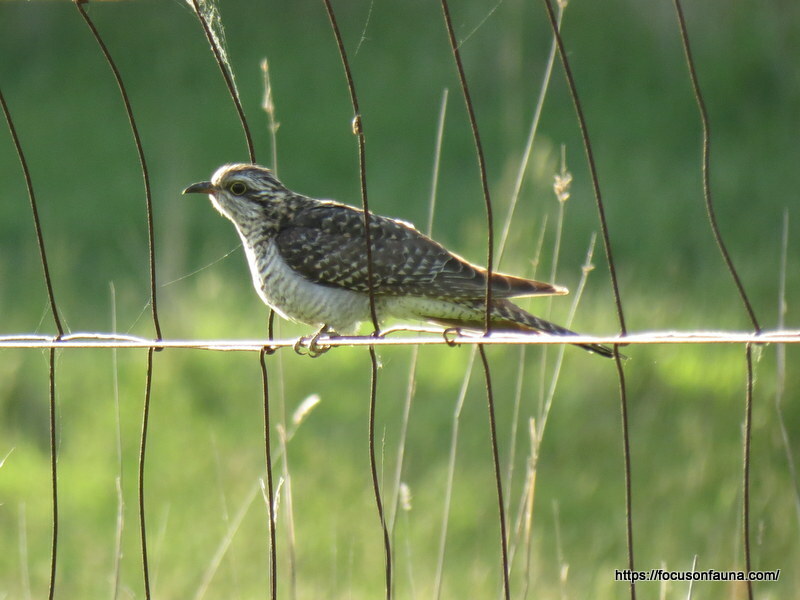 Listening to the other cuckoo calls, we must have 3 on the property but it is the pallid cuckoo that wakes us up!!! Though not in your area, we rarely get Pallid’s up here (near Strathbogie), but plenty of Fantail’s and no lack of Shining and Horsefield’s Bronze. Occasionally even Brush. Spring time is cuckoo time.